Unlock youthful radiance with this powerful, fast-acting anti-aging serum. Help prevent and improve the appearance of fine lines, wrinkles and loss of firmness with collagen boosting Larch and Algae extracts and antioxidant rich Pomegranate Seed. Suitable for all skin types. Recommended for dry, dehydrated skin and for mature skin. Use morning and night after cleansing and toning, apply to face and neck and follow with face oil and moisturiser. 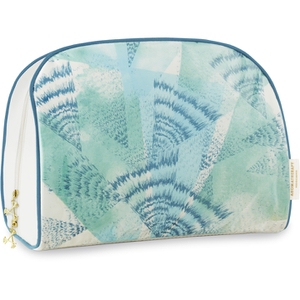 Receive a FREE Aromatherapy Associates Revive Wash Bag when you spend £60 or more on the brand. or more on the brand. Free gift will automatically be added to your basket. Whilst stocks last. I have bought this product twice and can tell the difference in the firmness of my skin as well as the look. The product smells gorgeous and goes onto the skin like a dream.